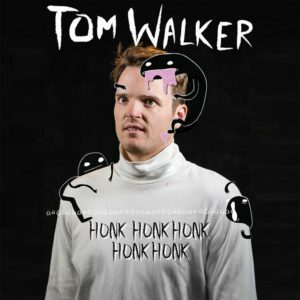 Tom Walker is on something of a comedy hat-trick, winner of Best Newcomer at the Melbourne International Comedy Festival in 2016, and a nomination for the Barry in 2017 which he responded to in his own inimitable style with a twitter famous tattoo. 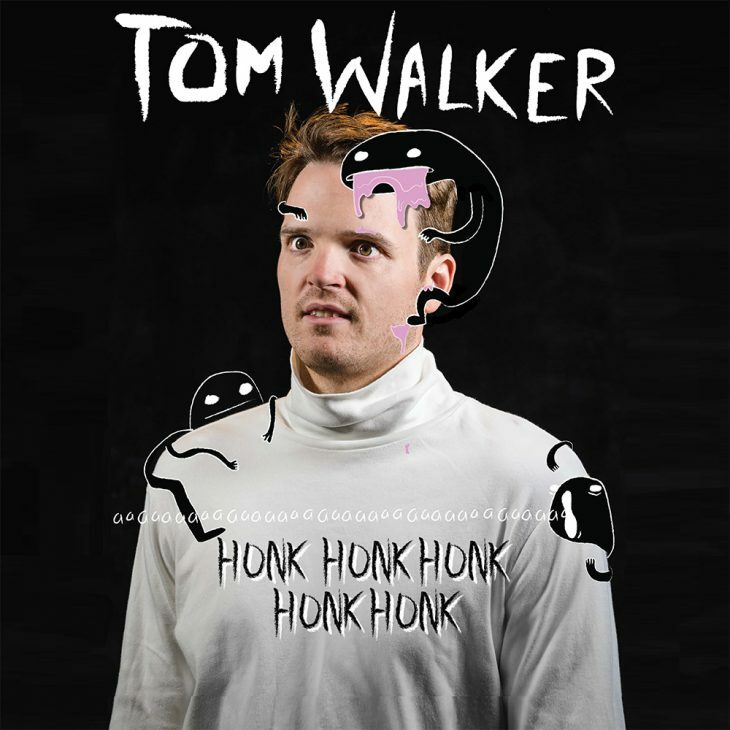 It is fair to say Tom has quickly risen from quirky outsider act performing to small audiences at the Tuxedo Cat to becoming a consistent main-stay of the festival with extra shows in bigger venues added last year. Between his first two shows at the festival Tom showed enormous evolution, from a mime-centric show earning him the best new-comer nod to the absurdist mad clowning that earned him the Barry nomination. While this show might not win awards, it is a spectacularly creative and eccentric mix of physical comedy, mime, songs and sight gags. Honk Honk Honk Honk Honk, feels like a continuation of last years. While the evolution is still evident, it is a little subtler than before, and subtle is not a word that would often be associated with Tom’s performance. For fans of his this is great news, he’s hit a style that works and is now tweaking and experimenting with new ideas. Notably this year is Tom’s use of technology, he spent 6 weeks building a video game for the audience to play before the show – I can’t imagine there are many other comedians who have done that. The consistent theme throughout the show is the craftmanship and creativity behind each joke – whether song or a physical prop, every element is well constructed and beautifully crafted to maximise the comedic impact. What strikes throughout is that Tom seems to genuinely love his creation, he seems perfectly comfortable that people won’t laugh at everything he does, but that most everyone will lose themselves to fits of giggles at some point during the performance. He seems to perform for himself as much as for the audience. It would be wrong to say Tom seamlessly blends song, clowning, mime and stand-up into a precisely calculated show, perhaps it would be more accurate to say he bounces around from idea to idea in a wonderful world of his own creation. In many ways it feels like a journey into Tom’s mind, which is evidently an incredibly fascinating and sometimes comedically dark place. I imagine that while there would be common elements and common scenes, no two performances would ever be the same. Tom’s acknowledgment that he has had a number of walk-outs during his performances underline that this show isn’t for everyone – if you like your stand-up straight laced then this probably isn’t for you. If however you’re open to a wild ride of new experiences, incredible creativity and eccentric surprises at every corner, this is a definitely one to add to your list.